From the 1st July 2016, the submission of claims for the recovery of the 1st half-year 2016 of French TICPE can start. 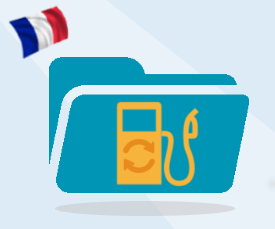 The refund rate has strongly increased: it is possible to recover € 78.60 per m³ of diesel fuel bought during this period (instead of € 48.70 previously). * 1st half-year 2014: please provide us with your documents by the end of August 2016.